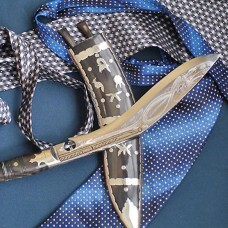 It is Biltong (Second Smallest Kukri) size Khukuri. 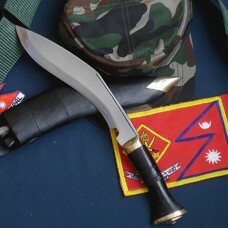 This knife is identical in measurement and weight to the Angkhola. 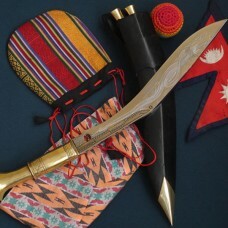 This model is made in Angkhola Village therefore also known as Panawal Angkhola. 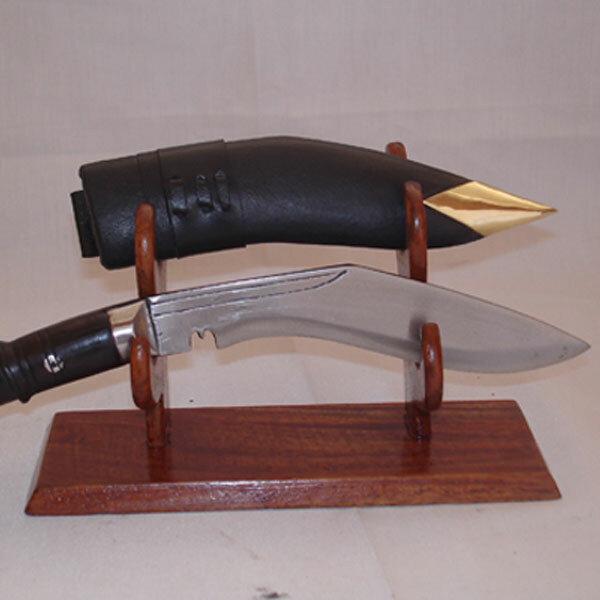 The blade measures 5" and the total length with wooden handle is 8.5". 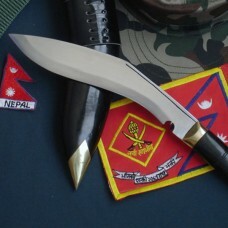 This Khukuri however, has a uniquely distinct handle where the metal of the blade in the handle area is flat and not narrow and pointed as in other knives (full tang). The blade is therefore visible all around the handle. 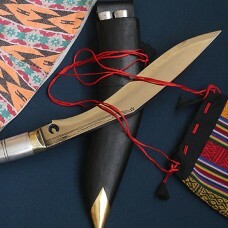 The handle is joined strongly to the blade with two metal rivets that can also be seen at the sides. 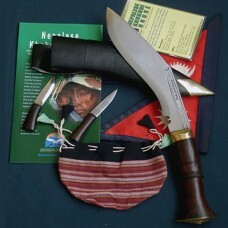 The weight of this knife is 350 grams with buffalo leather covered cotton-wood sheath. The total shipping weight including display wooden stand with packing will 1 kg.